Pros: Not only is he recognized and loved by millions of potential overseas visitors, but brand-development capital, focus groups and trademarks are already paid for, making Quatchi cost less than 10 per cent of an original mascot. 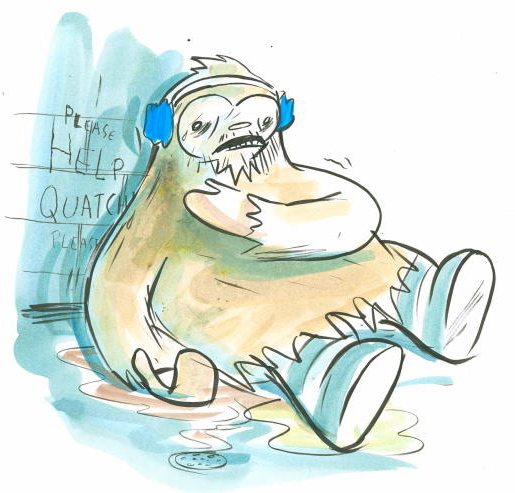 Cons: A forest-dwelling alpine creature, Quatchi cannot tolerate the heat and humidity of a Toronto summer and will be able to promote the games only from walk-in freezers or the polar bear exhibit at the zoo. They give Quatchi a 6% likelihood of becoming the PanAm mascot.